Less than 6 months after Arthur Hammond was hired as an electrician, OD McGaha (proununced Muh Gay Hay), his foreman, wanted to fire him. Not because he wasn’t a good electrician. Not because he had done something wrong. Not even because he smelled bad, or used bad language. OD (prounounced “Oh Dee”) wanted to fire him because he argued too much. Art and I started the same day in the electric shop. I remember very well when I first walked in the door the morning that I became an electrician. I talked about that day in an earlier post New Home in the Power Plant Electric Shop. That was the first day I met Arthur Francis Hammond Jr. Oh yes. I remember his full name. Everyone just called him Art. I always called him Arthur. I had the habit of calling people by their full name…. Sometimes I would even embellish their name some. For instance. I used to call Scott Hubbard “Scotland”. Not because he looked Scottish, but because Scott seemed too short of a name for such a great guy. It would be like calling Jesus “Geez”. Well. OD McGaha (OD’s first name was OD. The O and the D didn’t stand for anything other than O and D… OD) didn’t like being told he was wrong by anyone, especially by one of his direct reports. He soon went to Bill Bennett to see about having Arthur fired. Of course, Arthur never really did anything to be fired over, he was just pushing OD’s buttons and OD was falling for it. So, in less than 6 months after Arthur and I joined the electric shop, Bill Bennett decided it would be best if Arthur Hammond moved to our team to help keep the peace in the shop. I’m not sure, but I think Ben Davis was traded from Howard Chumbley’s crew while Diana Lucas (later Brien) moved from our team over to Howard’s, making the circle complete…. except that now Ben, who was as content as all get out to stay on Howard’s crew (who wouldn’t be? ), was stuck on OD’s crew… which is another story in itself that I will not be writing about in a later post (well, I may mention an after effect in passing). This is Sgt. 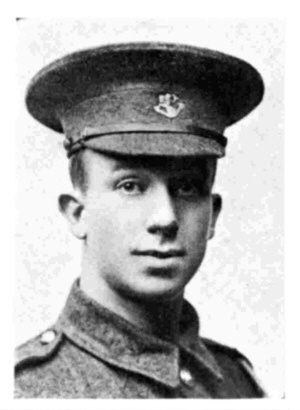 Arthur Hammond who earned the Military Medal for his heroic work in the swamps of Flanders as a Newfoundland soldier during World War I. I thought that this Arthur Hammond was related to our Arthur Hammond since they look just like twins. A member of Sgt. Arthur Hammond’s family has assured me that they are not related. Arthur and I were able to happily work together because he liked to argue and I liked to argue back. You see, I had grown up with an Italian mom. Few people like to argue like Italian mothers, especially mine. I remember one Thanksgiving sitting with my brother on the couch in the house of my mom’s cousin Larry listening to our Italian relatives arguing in the dining room. We were keeping count on our fingers of how many people were talking at the same time. All of them sounded like they were arguing. Usually it took more than the fingers on one hand. After a while, we realized that there were several conversations (well…. arguments really) going on at the same time. Yet, there was one person that was in the middle of all the arguments at the same time….. yep….. my mother. She would be taking part in at least three arguments simultaneously. My children grew up thinking that I hated my mother because we were always arguing. It wasn’t until they were older that they realized that we were just trying to decide where to go eat for dinner. Anyway. When Arthur and I would be working together, all I had to do was say something… anything…. and the argument would start. At least that would be how it would appear to an unsuspecting person walking by listening to us. I knew that what it really meant was nothing more important than my mom and I trying to figure out where we should go out for dinner. An argument with Arthur would go something like this. Here is one particular one I remember…. I was explaining that what someone had said wasn’t really what they meant. They were just saying that to get a reaction, because they really wanted to see how someone else would react (come to think of it… we were probably talking about Bill Rivers, See the post Resistance in a Coal-Fired Power Plant from last week). Arthur then proceeded to tell me that lying was never right…. ever. It was never all right to lie. If someone says something, it should be what they mean. I pointed out that people may tell a “white lie”. One that isn’t intended to deceive someone as much as it is to hide something for another purpose. Arthur said that he disagreed. That even a white lie is always wrong…. So, I asked him if he ever told his kids that Santa Claus brought them Christmas Presents on Christmas Day, or that the Tooth Fairy put a coin under their pillow at night. He had to admit that he did. He did have to ponder whether it was right or not. So I told him that I thought it was all right to tell his children this. It didn’t necessarily mean that he was doing something wrong. I could see that this had really puzzled him, because this was a steadfast dogma of Arthur’s. One thing that really bugged him was when someone lied to him. I have another post that I will write in a few weeks that will give a definite situation where someone was lying to Arthur. It really bugged the heck out of him. So, I explained to Arthur that even though he told his children that Santa Claus had given them presents, that in some way, maybe Santa Claus really did. Maybe Santa Claus represented the spirit of Christmas, and it was the Spirit of Christmas that prompted Arthur to go out and buy the presents for his children in order to surprise and delight them on Christmas morning. That seemed to satisfy him….. So, we immediately found something else to argue about, and you know what? The days would fly by when I was working with Arthur. We would go out to wire up a Boiler Water Circulating Pump, using regular rubber tape (as this was before we started using the synthetic stuff), and four hours would go by like nothing. Three small arguments and we would be done. To get an idea of how big this pump is…. you can easily stand (and dance… um…. if you were inclined to… er…) on the junction box on the lower left corner of this motor. I actually had a great time working with Arthur Hammond. I was heartbroken the day he told me in 1988 that he had decided to take the money being offered for anyone that wanted to leave before a downsizing was going to occur. He explained the reasons to me. I just wanted to grab him and shake him and tell him “No!” I wanted him to realize that he was making a mistake….. but I didn’t. You see, Arthur had been a construction electrician before joining the electric shop. He had traveled from one job to another. He hadn’t stayed in one place for more than a couple of years. He was already working on 3 1/2 years in the shop…. He wasn’t used to that. He said that he just didn’t like settling down in one job. He had to keep moving. I know what he really wanted to do. He wanted to go into business for himself. He wanted to start a cleaning business. He had made a business case for it and was trying to get the funding from a fund for American Indian Entrepreneurs. He just needed the down payment. This looked like the opportunity to do this. 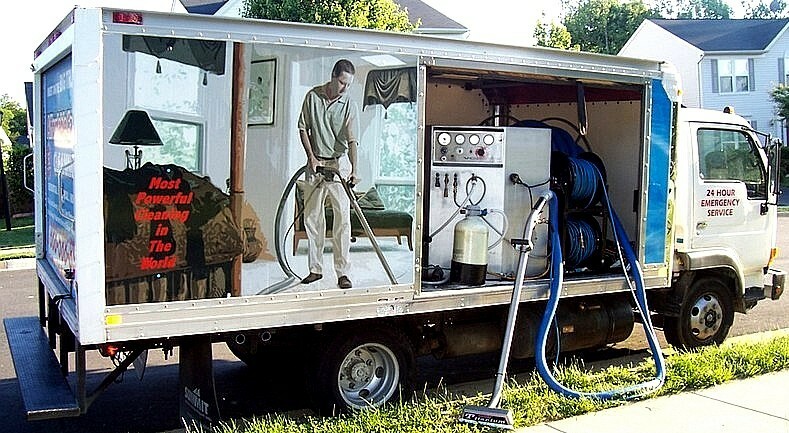 He wanted to buy a big steam cleaning truck. So, I think Arthur’s last day was sometime early June, 1988. I always hate to see my friends walking out the door, not knowing if I will ever see them again. That was the way I felt when Arthur left. The only shining event that came out of Arthur leaving was that it left an opening in the electric shop that was filled by Scott Hubbard from the Testing team. Scott and I would spend the rest of my years working together along with Charles Foster until the day I left the plant in 2001. I did see Arthur three months later. He called me at work one day and asked me if I would help him out. His going away package that the company gave him to opt out had run out and he needed some cash. He had 50 shares of company stock left and was wondering if I would buy them from him. He knew that I bought and sold stock and thought I might be interested. I was glad to help him out, so we arranged to meet at the house he was renting in Stillwater (I was living in Ponca City at the time), on a Saturday. He went to the Morrison, Oklahoma bank and had the bank president sign the stock certificates, and when I arrived, at his home, I handed him a check for $1600.00 and he gave me the stock certificate for 50 shares ($32 per share). The price of the stock has gone up and down through the years…. I could have made a profit on them I suppose. I have kept them to this day. Every 3 months I receive a dividend check in the mail for $19 from those 50 shares….. I hang onto those shares. Maybe it is because ever three months, I am reminded of the day I bought them. When I arrived at Arthur’s house out in the country, just down the road from where I eventually bought my own home up on the hill, Arthur handed me the certificates and said, “that’s it…. That’s the last of the package I received…. It sure didn’t last long.” I shook his hand, gave him a hug and said goodbye. That was the last time I ever heard from Arthur. I think today he is living in Tulsa. I am not certain. He would be in his early 60’s now. I only hope that all is well with him and his family. I hope that he finally found a place to settle down. Some place where he could wake up each day….. go to work, or walk down the street and talk to a friend who enjoys a good argument. I know that if he could do that, then he would be content. Nothing was more enjoyable to Arthur than being able to take part in a good argument.